Many entrepreneurs nowadays choose to purchase a franchise business instead of starting their own business. After all, a franchise is an already developed business model that potentially has higher chances of success than starting a venture of your own from scratch. What’s more, franchisees are supported by a trademark or a brand they operate under. That support includes funds, training marketing strategies and so on. However, even with all the support, a franchise business must still compete on the local market and make a name for itself. Favoring a franchisor’s reputation and brand awareness could prove to be a slight advantage, but that’s not always the case. In most cases, the best way to start off a franchise marketing campaign is through social media platforms. Social media presents a unique way for any business to stand out and establish a meaningful relationship with their customers. That being said, here are a few tips on creating a social media strategy for a franchise business. 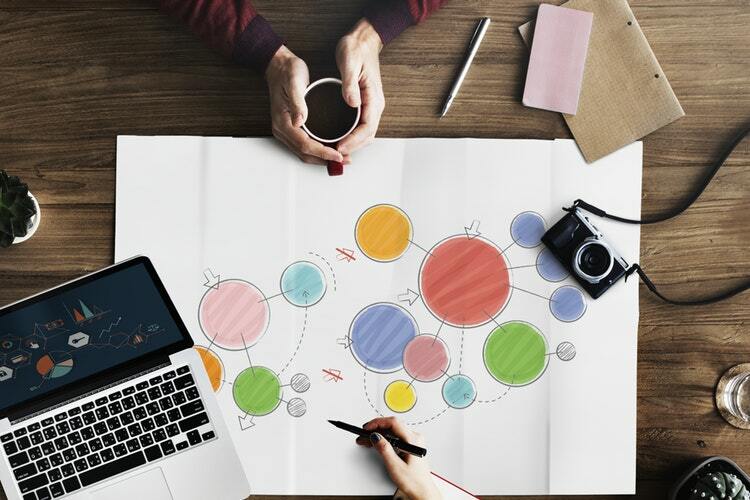 When it comes to digital marketing, a franchisor will provide their franchisees with developed and proven marketing strategies. However, sharing a general consumer base with a franchisor doesn’t mean that a franchise business can easily implement the same strategies on their local markets. The main reason is that your local customers might have slightly different preferences, needs or expectation than other customers in general. That’s why it’s important to research your local target audience and learn as much as you can about them. Researching your target audience on social media will help you determine who they are, their demographics, their behavior and purchasing decisions, as well as their preferences and needs. What’s more, you’ll learn on which networks they’re most commonly present. This information is vital for adjusting your marketing strategies for the local market your franchise operates in. Your franchisor already has a developed brand and a brand reputation which you operate under. That means that your social media strategies must be consistent with the franchisor’s brand. The main reason is that even your local customer might already be familiar with your brand. Therefore, they’ll have certain expectations you must meet, in order to get them to convert. Brand consistency is the key to your social media marketing regardless of which strategies you use to reach out to your target audience. If you lack the proper inspiration on how to proceed, you can always consult with your franchisor or take a look at top 10 franchises to determine how they communicate their brand message on social media. Make sure you uphold your brand identity and brand promise throughout your social media activities, in order to ensure that your brand image or how the audience perceives you doesn’t deviate in any way. Every social media strategy must have a goal. You must set actionable goals for your franchise, in order to ensure you’re implementing the right social media marketing strategy. Moreover, franchisee goals may differ from the franchisor’s general goals. For instance, you may need exposure on the local market and your goal is to grow your social following. Also, you may want more customers so your goal is to convert qualified leads from social media. In other words, identify your core needs as a franchise business and determine how social media can help. That way, you’ll be able to set specific and actionable goals for your social media marketing campaign. Moreover, consider which strategies are ideal for driving those specific goals. For example, if you need to increase your social following, you’ll need to boost audience engagement through relevant content, exciting contests and other activities. Simply put, not every strategy will work for some goals, as some goals require a specific approach. Even though you make a strategic decision based on relevant information you’ve gathered from research, you cannot know for sure how your social media strategies will perform. In other words, you cannot know for certain how your audience will respond to your efforts. That’s why it’s important to monitor your campaign’s performance on social media platforms. You can achieve this by tracking relevant metrics and by monitoring important KPIs (Key Performance Indicators). For instance, you can monitor follower growth, user engagement levels, web traffic, social media mentions and even ROI. The data you gather will help you determine not only how your efforts are performing but also how effective your strategies at driving your business goals are. If the results aren’t favorable, there’s always room for optimization and improvements. In other words, chances are that you won’t be able to get things right on the first try. That’s why you need to measure everything and test new ideas, should you need to do so. Creating the right social media strategy for your franchise business isn’t easy. There are a lot of factors to consider before you opt for a strategy. However, if you research your local market, as well as your target audience, you’ll be able to make more strategic decisions and ensure your efforts will bear fruit in the end.